Gorge Campground is located on the crystal clear upper Metolius River, one of the most renowned fly fishing rivers in the region. This campground, where the calm river gets pinched by a lava flow that makes a shallow gorge, offers opportunities for fishing, hiking, birdwatching and generally soaking in this unique and special area. Gorge is the fifth campground that you come to on the spring-fed Metolius River and is more isolated and quieter than its neighbors. It has the largest of the Ponderosa Pines in the area. Open seasonally (usually about April through December), the cost per night, per site fee is $18 and some sites are available by advanced reservations and some sites are available on-site on a first-come, first-served basis. There is no potable water on site, but you can go to the nearby Allingham campground for water. 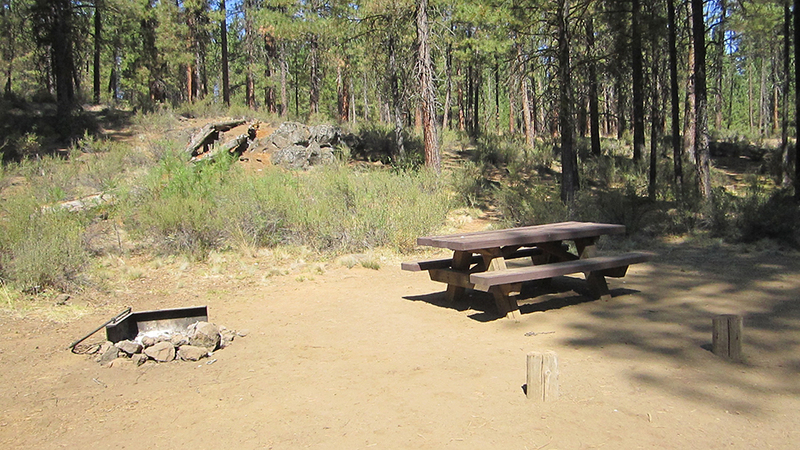 All sites are equipped with a picnic table and campfire ring with grill, and the campground has vault toilets available.